On April 11, 2019, significant revisions to Massachusetts’ data breach law – Chapter 93H – take effect. The revised statute requires more detailed notifications to both the Commonwealth and affected consumers, and mandates that breached entities offer consumer credit monitoring to affected individuals after certain types of breaches, a practice that has become common but was not previously required. As with the earlier version of the statute, the notice must include any steps the entity has taken or plans to take in response to the incident. The revised statute now specifies that one of those “steps” ought to include updating the WISP. Required Credit Monitoring Services: If the breach included the loss of Social Security numbers, the revised statute requires breached entities to offer credit monitoring services to affected individuals. The statute has several requirements for this service, the most important of which is that it must be for a period of at least 18 months for most entities and 42 months if the breached entity is a consumer reporting agency. A report certifying compliance with the credit monitoring services must also be filed with the Attorney General and the Director of Consumer Affairs and Business Regulation. 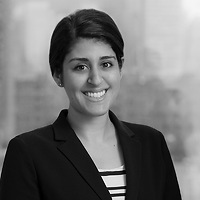 This advisory was prepared by Seth Berman, the leader of Nutter’s Privacy and Data Security practice group, and Nehal Khorraminejad, an associate in the firm’s Litigation Department. For more information, please contact Seth or your Nutter attorney at 617.439.2000.